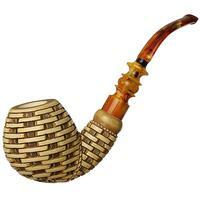 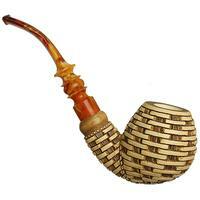 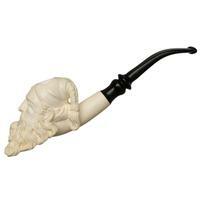 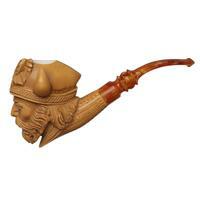 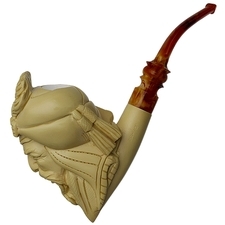 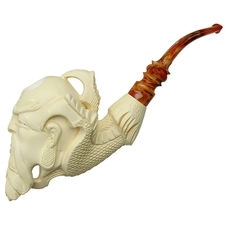 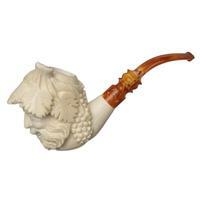 A tisket, a tasket, this meerschaum looks like a basket. 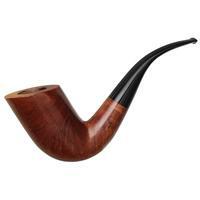 Indeed, with its thatched, evenly stacked pattern, it looks positively primed for some lively flower-picking, or whatever the hell people do with baskets. 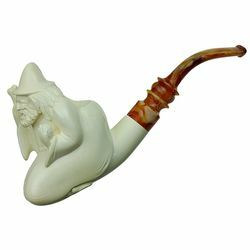 I'd rather use a bag, myself. 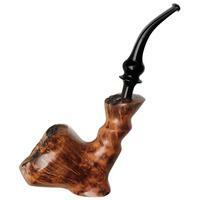 It was pre-colored at the factory, serving to coax a bit of visual definition from the texture, and it's still unsmoked. 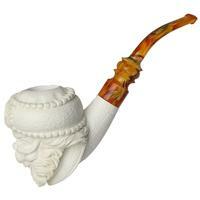 Outside Diameter: 2.19 in./55.63 mm.